Islands of Adventure performs "How the Grinch Stole Christmas" a live musical in the soundstage behind the Blue Man Group's theatre. The Grinch makes his appearance. The Grinch makes his calculations on how to steal Christmas. Cindy Lou Who encounters the Grinch. The Grinch changes his mind. Time for some dance choreography. Yes, Max is really here too. This is a great show. Over in Universal Studios, this is the 15th year of Macy's Holiday Parade. 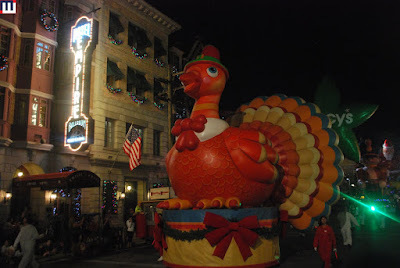 Tom Turkey leads the parade. 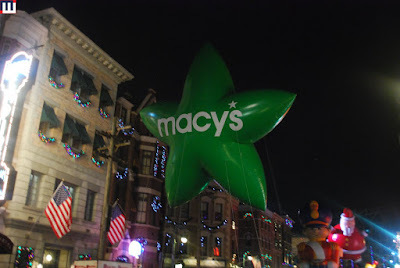 What would a Macy's parade be without their star balloons. Wooden solider and Santa balloons. The Simpsons make an appearance. I wanna a hippopotamus for Christmas. Polar bear balloon with some minions. 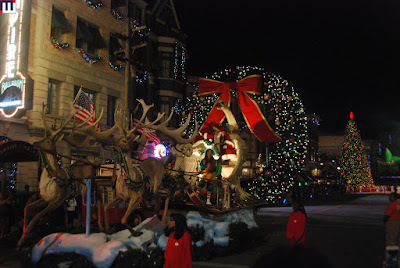 A very large elf making his way down the street. The Central Park bridge float. Virginia with her Christmas letter to the paper. The Macy's band's large bass drum. Christmas light balloons that actually light up. 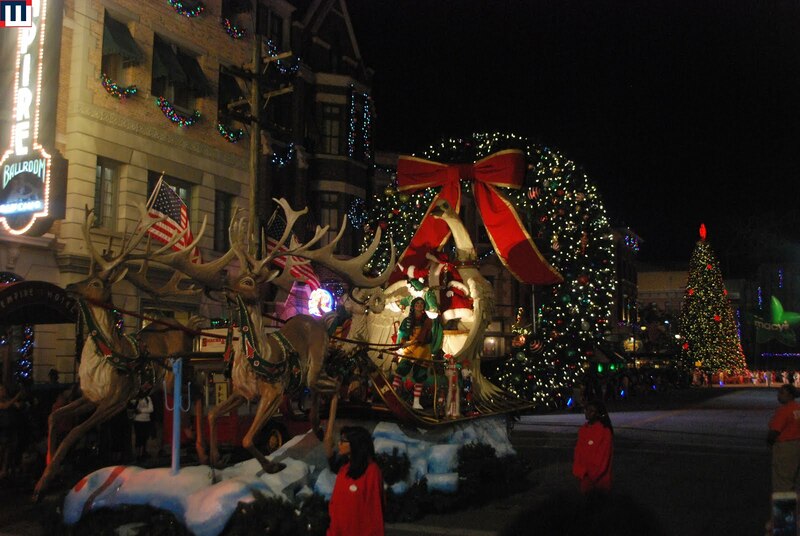 Santa Claus and Mrs. Claus finish off the parade.